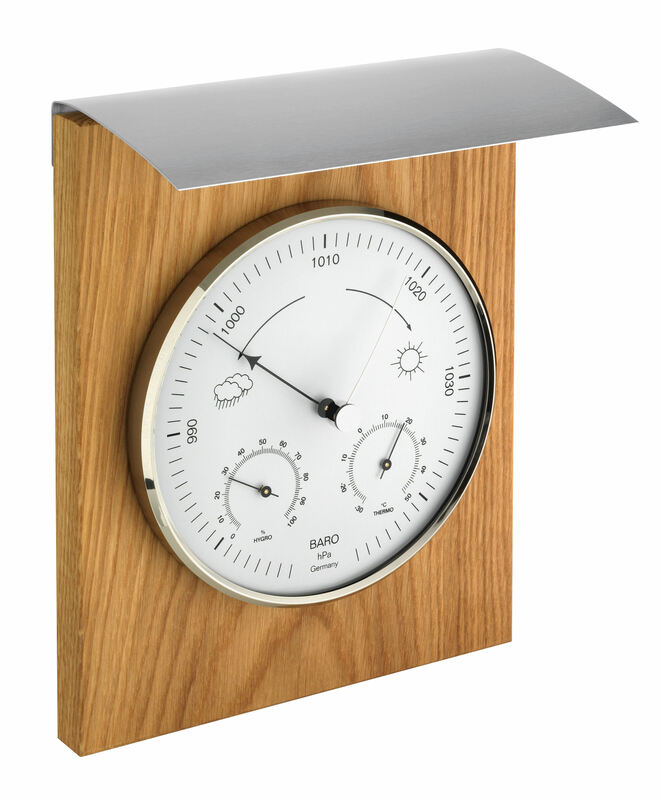 This weather station made of oiled oak and stainless steel, blends harmoniously into any environment, thanks to its clear and modern design. 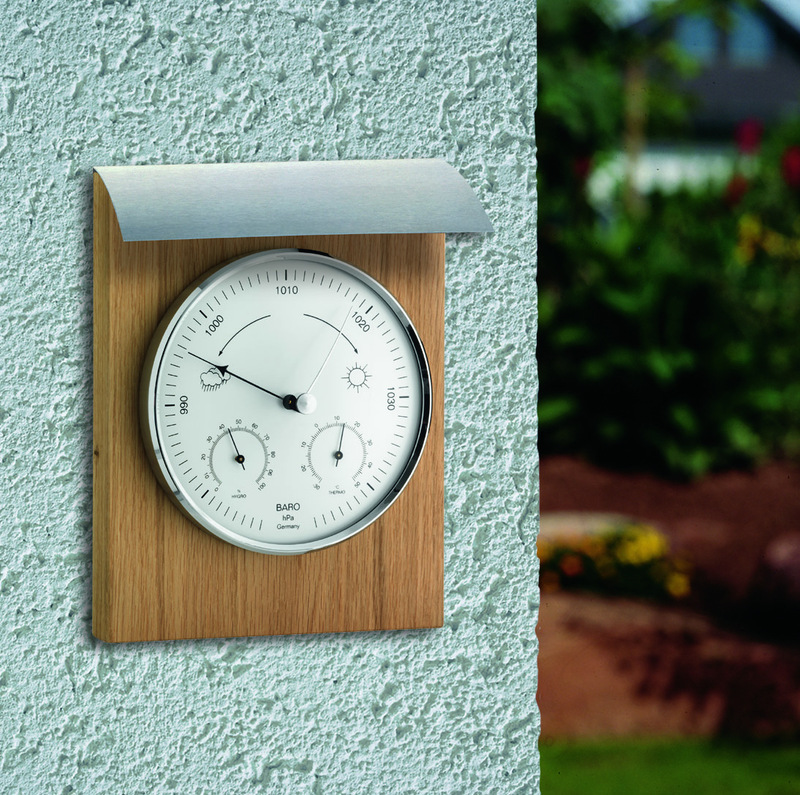 It can be used both in the living room as well as on the balcony or terrace. 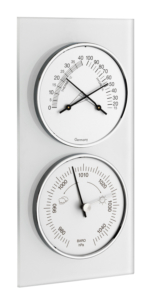 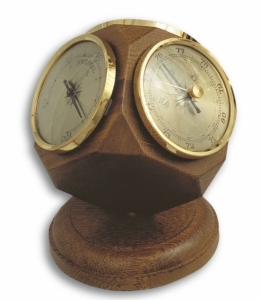 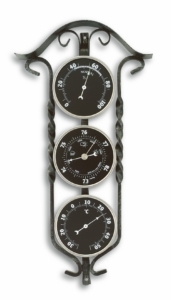 The movements consist of a barometer, a thermometer and a hygrometer.